Happy Monday, friends! 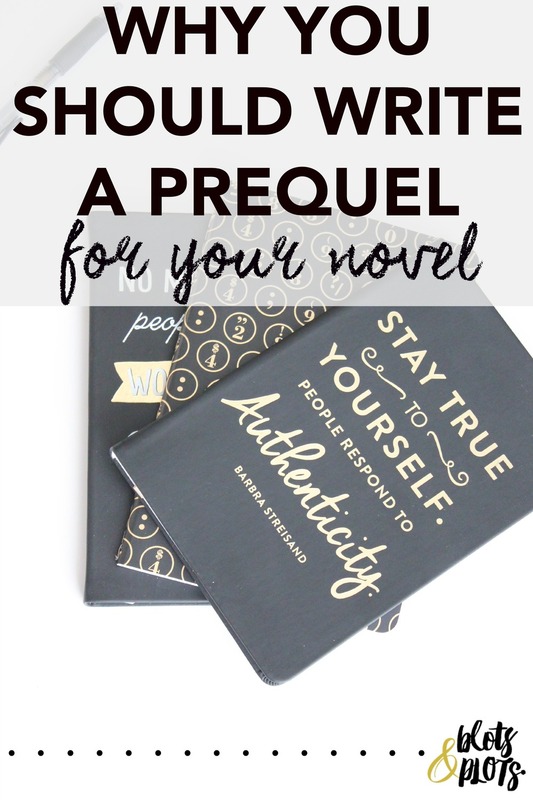 Today we're going to talk about why you should write a prequel for your novel and how to use it as a marketing tool. If you've been keeping up, you know I just published a novel called These Are the Moments and have been serializing a prequel called Those Were the Days. How has this helped promote my book? How can you benefit from this? First things first, what is a prequel? It's a work of fiction that comes before a later work, plain and simple. The term "prequel" is fairly broad, with no specific length. You can publish one or multiple prequels for your book. James Dashner published a full-length prequel for his hit Maze Runner series, while J.K. Rowling wrote a prequel to the Harry Potter series, a mere 800 words long! If you want readers to connect to your story, bring them in from the beginning. When I decided to serialize Those Were the Days online, I hoped it would allow readers to experience my writing style and characters before the book was even available. And guess what? It worked! Backstory. Backstory gives readers a way of connecting with your story before they even get to the actual story. It answers the "why" questions that readers may have, and let's them engage with your characters from the ground floor. Character Development. In Those Were the Days, we meet Wendy Lake and her sister Claudia. It sets the stage for their strained relationship, and foreshadows events that occur in the novel. Why is this important? Readers want to know your characters and learn how they get from Point A to Point B. A Clean Tie-In to Your Novel. If you write a prequel, make sure it directs readers toward your novel. You want to leave readers wanting more from your characters and your story. How do you do this? Write a cliffhanger ending. As a first time novelist, I experimented in creating awareness for my book and my brand. When in doubt, give people free stuff. I decided to write a prequel on my blog and on Wattpad, hoping to build awareness for my soon-to-be-released novel. Release Your Prequel for Free. I know. The copyright thing is scary. But if you feel comfortable with this, releasing your work for free allows readers to get a sense of who you are. Plus, they'll know that you care enough to give them free stuff! Edit Your Content and Release It For Sale. While you can access my prequel online, I plan to edit and add to it. From there, I'll post it on Kindle for a (minimal) price and promote the new and improved version. Bundle Prequels with Novels for a Special Price. Bundling is a new big thing in the self-publishing world. Writers have been teaming up to release bundled ebooks as a way to cross-pollinate their audiences. Read more about bundling here. If you've written a novel, you know that many scenes don't make it into the final cut of the novel. If you're like me, you hate to waste words. Why not wrap these bonus scenes up into a prequel? This allows you to save time as well as create awareness. Discussion Time: Would you write a prequel for your novel? What obstacles do you anticipate in the process?